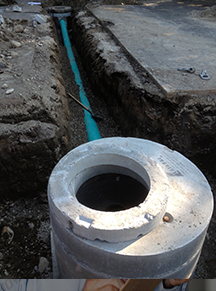 Owners - Dan and Kathy K.
We are your drainage experts with over 30 years of experience. 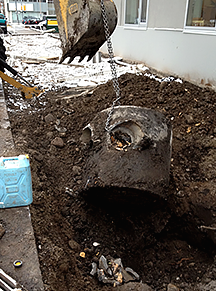 At BearCo we are pleased to offer our Calgary and area clients our diversified portfolio of professional shallow utilities, drainage and breakout & removal services. 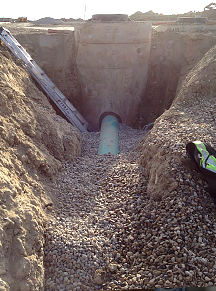 We are able to offer our clients services that include greenfield and brownfield drainage design, Catchbasin Installation, Manhole Installation, and Breakout & Removal. As well we are able to offer Compaction, Trenching for Electrical, Plumbing, Fibre Optics and Water Distribution Systems. Additionally we are able to provide backhoe support for Landscaping Services. 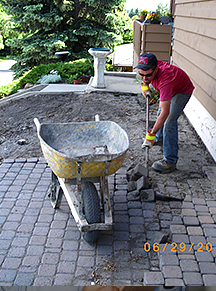 BearCo also has the experience to act as your Contract Grade Foreman on your next project. 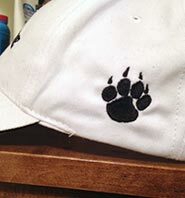 BearCo is committed to customer satisfaction!